Boil corn in a pressure cooker. Keep it for 5 whistles. After the corn is boiled, drain off the water and let in cool. 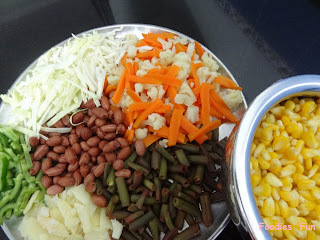 While corn is being boiled cut the vegetables about an inch long size. Now boil peanuts and french beans in a pressure cooker for 2 whistles. Also boil carrots and cauliflower in a cooking pot for about 5 minutes so as not to soften them too much. Drain off the water of the boiled veggies and peanuts and let it cool. Take a deep frying pan and prepare it for tempering. After ghee heats up, put cumin seeds in it and temper for 1 minute. Put capsicum and cabbage in it and sauté for 2 minutes. Add salt, pepper, lemon juice and chaat masala to it. Mix them all well. Let it cook keeping the lid closed for about 2 minutes. 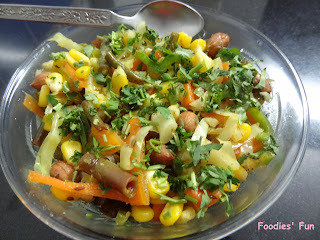 Add carrots, cauliflower, peanuts and french beans to it. Mix them all well and let it cook keeping the lid closed for about 2 minutes. 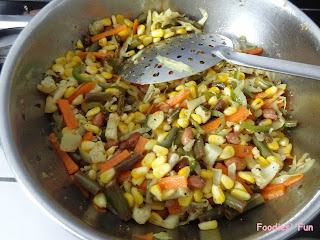 Lastly add corn to it and mix it. 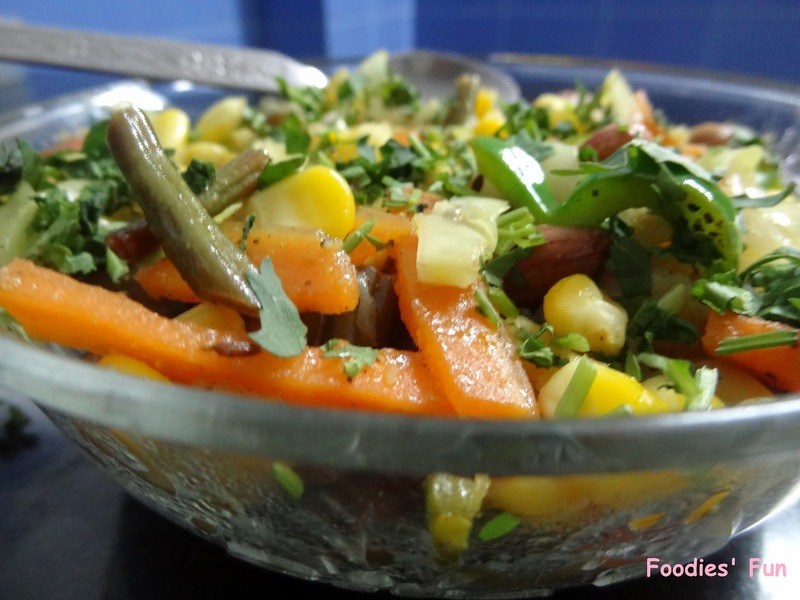 Serve it hot in a bowl and garnish with coriander leaves.